Here is your BONUS gift! 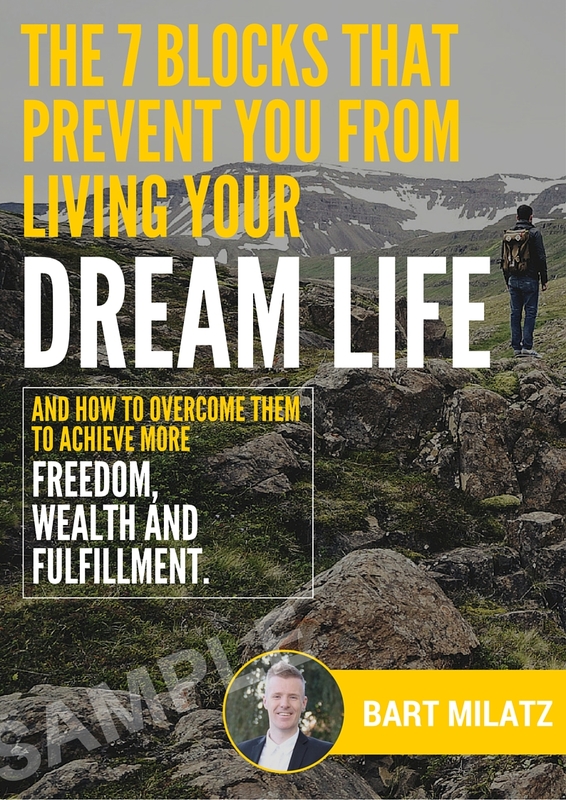 Please also sign up below to receive my FREE guide: "The 7 blocks that prevent you from living your dream life and how to overcome them to achieve more freedom, wealth and fulfillment." and How to Overcome Them to Achieve More Freedom, Wealth and Fulfillment! "Morning Meditation" from Meditations for Manifesting Abundance and Prosperity by Bart Milatz. Released: 2015. "Evening Meditation" from Meditations for Manifesting Abundance and Prosperity by Bart Milatz. Released: 2015. "Hypnotherapy for Manifesting Abundance and Prosperity" from Meditations for Manifesting Abundance and Prosperity by Bart Milatz. Released: 2015. "Meditation for Manifesting Abundance & Prosperity (Thai)" from Meditations for Manifesting Abundance and Prosperity (Thai) by Bart Milatz. Released: 2015.